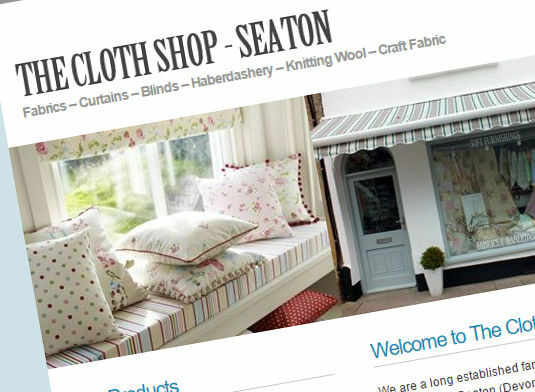 I am pleased to have worked with The Cloth Shop on a new website design. The Cloth Shop provide fabrics, curtains and haberdashery from their Seaton and Crewkerne shops. Tasked with creating a website design that reflected their business sector whilst standing out from their direct competitors, the website makes use of inviting colours and light shades to give a friendly warm feel. The business colours of light blue and grey are used prominently to create brand recognition. The website focuses more on the suppliers of their goods with links to each of their product providers.